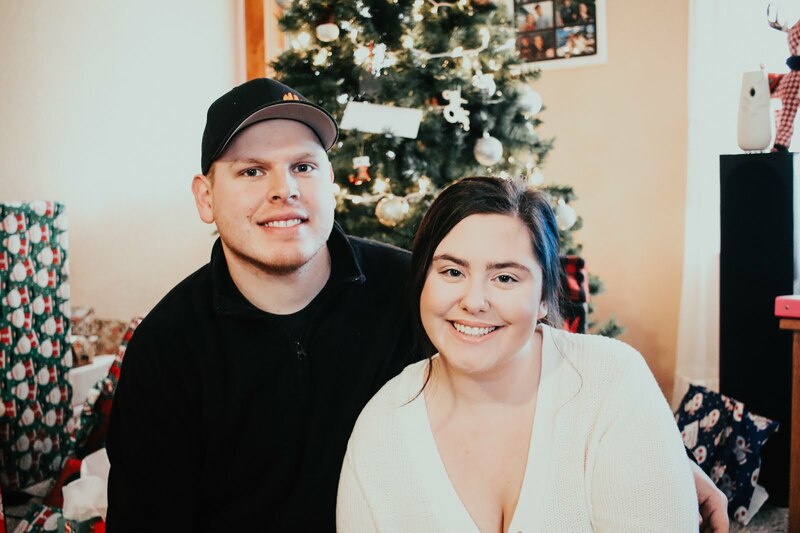 Hi loves, welcome back to my blog! 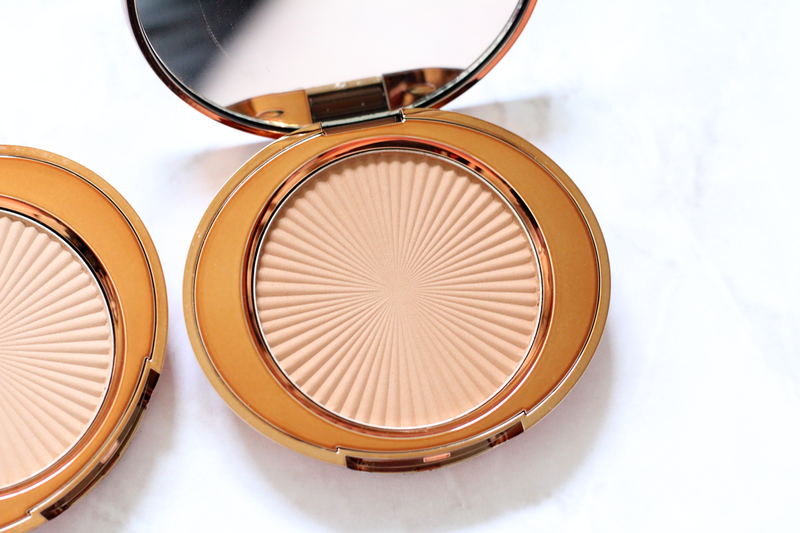 I am so excited to talk about some bronzers that I have been testing out by No7. 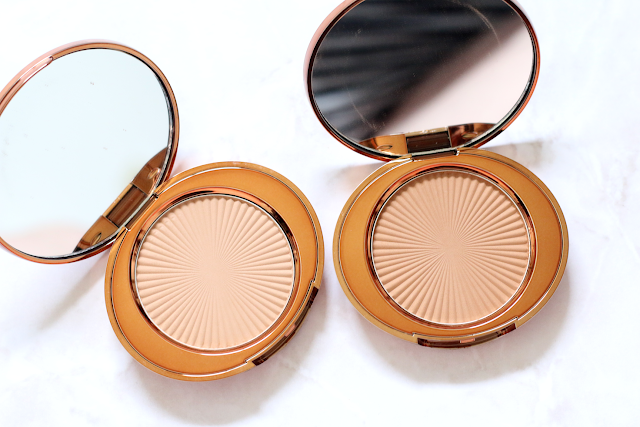 These are the Match Made Bronzers and I have two out of the three shades to share with you. 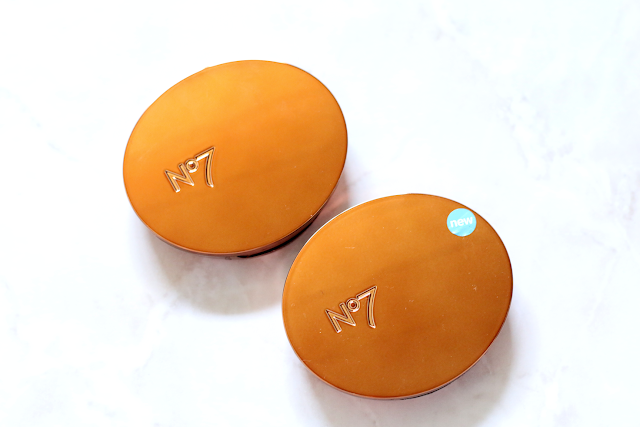 I have never tried anything from the No7 brand before, but was super excited when they contacted me and asked if I wanted to try out some goodies! I of course said yes! The only place I know of that sells No7 is Target, which I know they have a pretty big selection at my local Target. I also have some blushes to review, lip products and a few other goodies if you would like to see those as well! 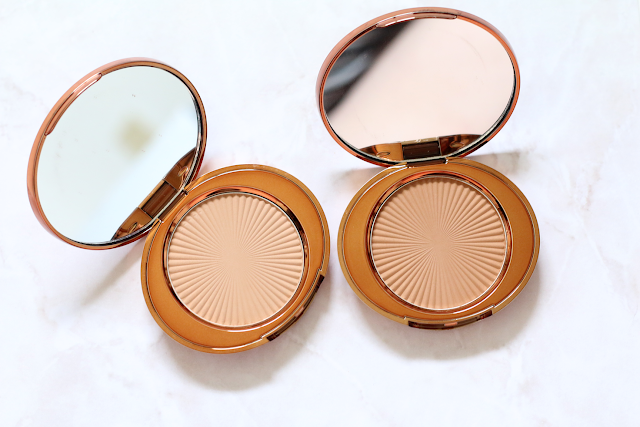 But lets go a head and get onto my opinions of these bronzers. The packaging of these are very beautiful. They come in a gold packaging and I find it stunning! I also love the texture added into the product. It makes it look almost like a sun or sand hills! 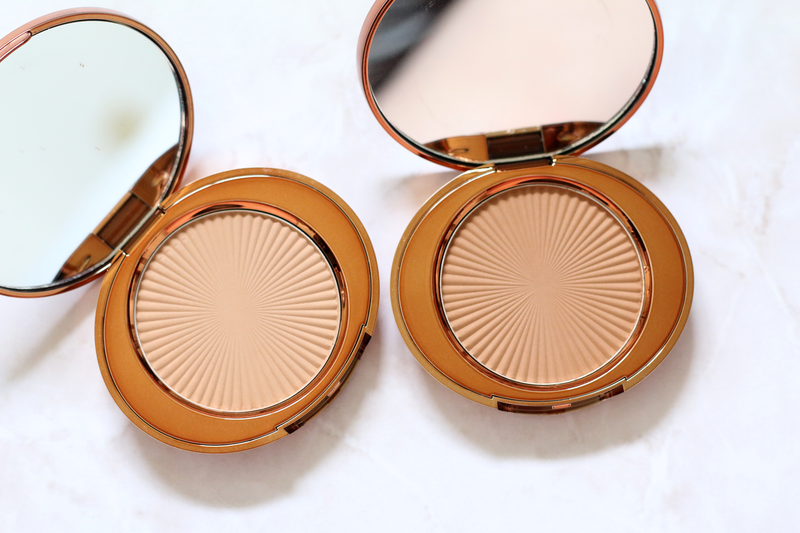 Golden Sand is the lightest shade you can buy and it is my favorite of the two because I think it matches my skin tone perfectly. It has a little bit more of a cooler undertone. 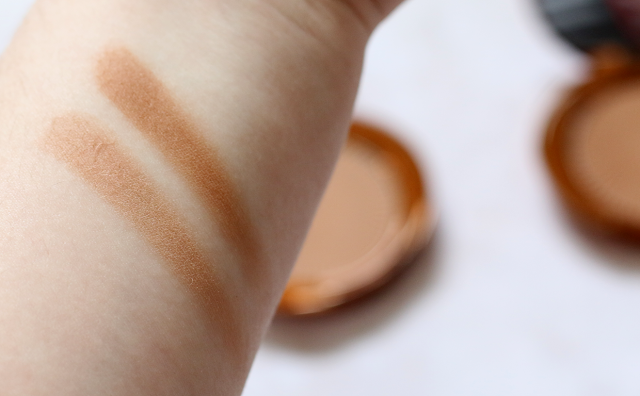 Caramel is more of a warm tone bronzer, but I think this also looks beautiful on me as well, I just prefer more of a cool tone bronze. I found the formula of these to be very smooth. They have a dry texture at first, but when blended out it becomes super smooth and easy to blend. I was actually very impressed with the formula. The price point for No7 is very close to the prices of Physicians Formula. Each bronzer retails for $12.99, which is actually a tiny bit cheaper then Physicians Formula. I think since I love these two shades so much, I will have to purchase the darkest shade which is Maple. It seriously looks so pretty and I just need it in my collection! 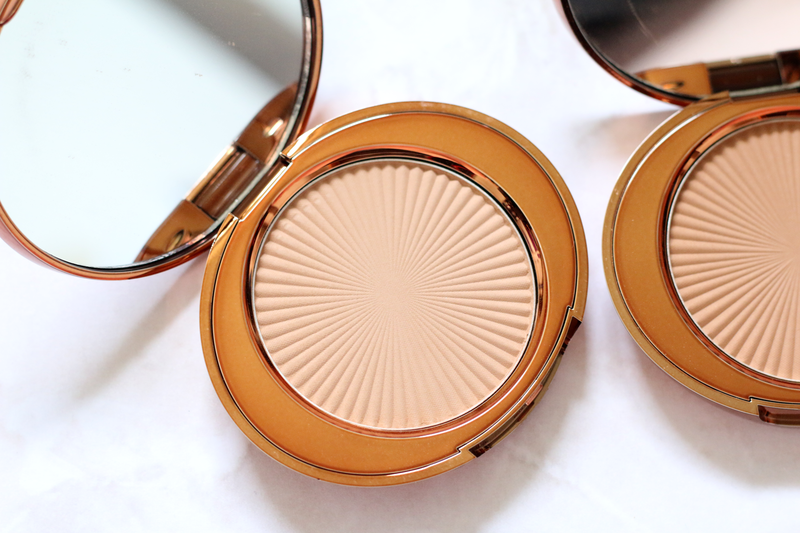 Have you tried these bronzers before? If so what did you think of them? This post contains affiliated links. These products were sent to me for review purposes but all opinions are my own.